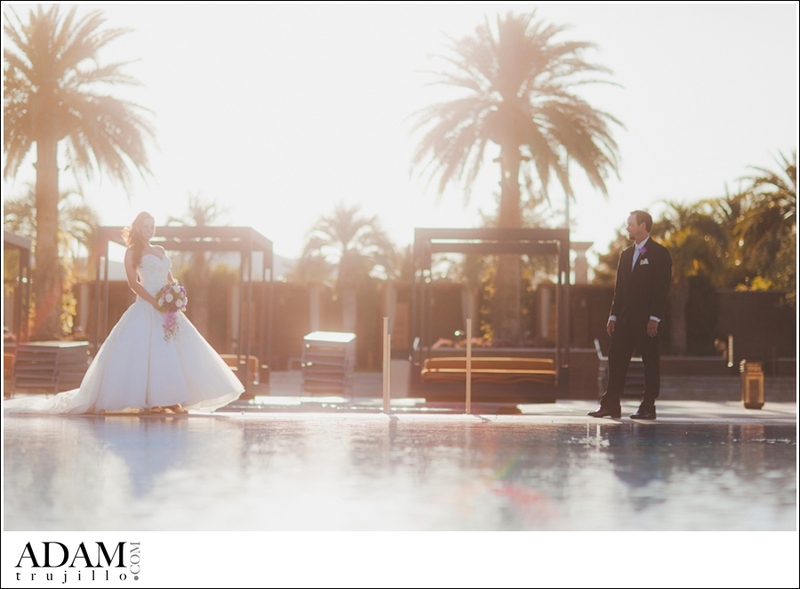 Kayla and Chris were married at the M Resort at their beautiful Pool outdoors. The day was gorgeous and although the day before had a calm breeze, day of the wedding some winds were brought in that had mad outdoor portraits a little more challenging. So with some amazing wedding professionals we were able to recreate some fabulous day after photos and a nice Trash the Dress session that made me smile throughout the whole shoot. My job as a Wedding Photographer is to be more than just a day of hired vendor for a wedding, but to ensure that every bride and groom receive the best outcome from their pictures no matter what. Trash the Dress sessions are more than just a day after photo session but a moment in the midst of your wedding bliss to take some personal time get pampered and focus on just you two with nothing but time and creativity between us. I know they are happy and I am sure with your next booked wedding I know you would love to create a beautiful photo session like this. Sometimes a special touch can add much to a moment. The day of their Wedding they had two bottles of Champagne custom made for the Bride and Groom. One bottle White and the Other black to resemble them each. With the final celebration in their Wedding Gown and Suit we cracked these bad boys open for some explosive fun inside the M Resort Pool! Good times. 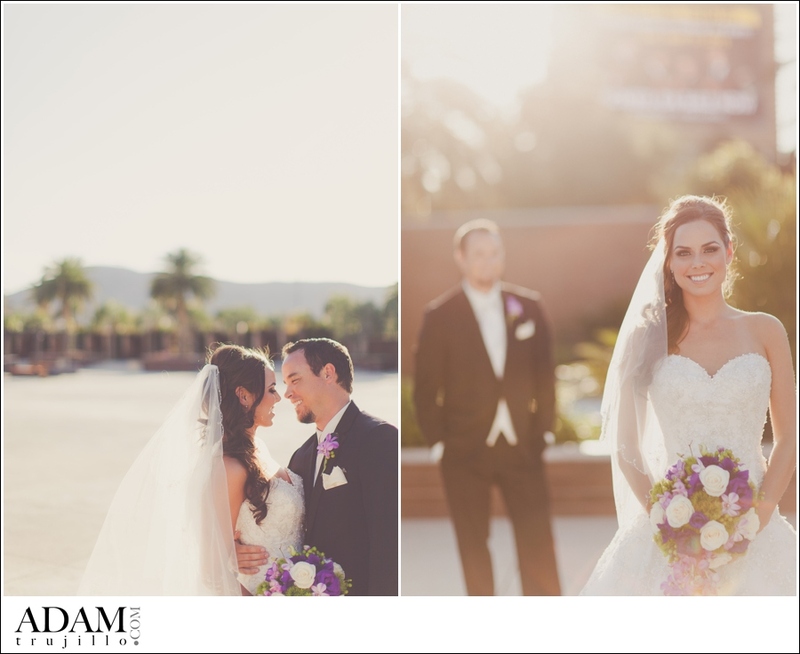 Check out their Wedding Day and Engagement Session in Previous Blog Posts and be sure to comment on what you think! A special thanks to the vendors that made this day possible. I love this trash the dress session! The colors are amazing! 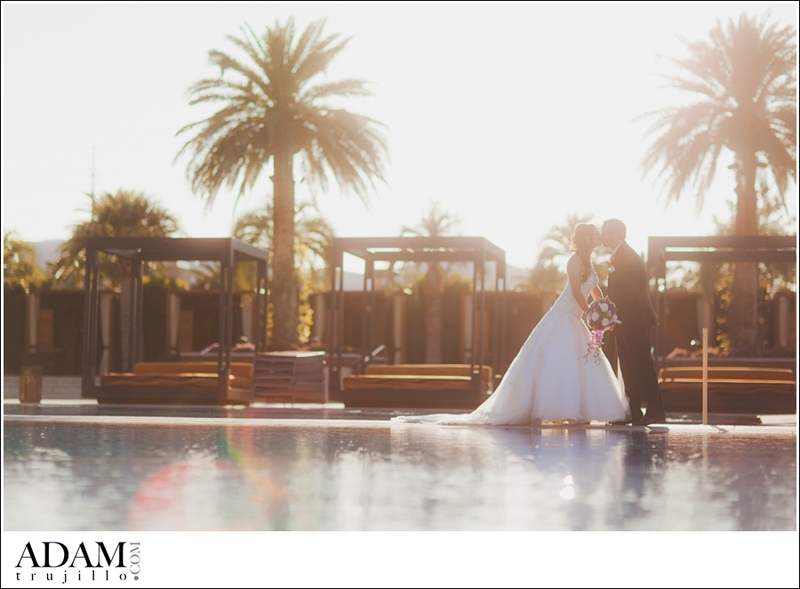 © 2013 Adam Trujillo Photography (All Rights Reserved)|ProPhoto Photography Blogsite by NetRivet, Inc.